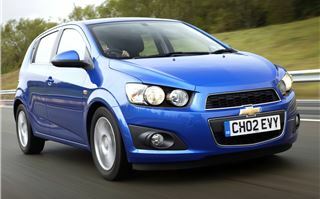 This is the new Chevrolet Aveo. 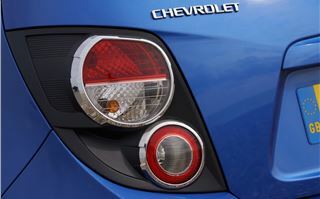 Over the past five years Chevrolet has introduced a host of new models and all have been respectable and competent. 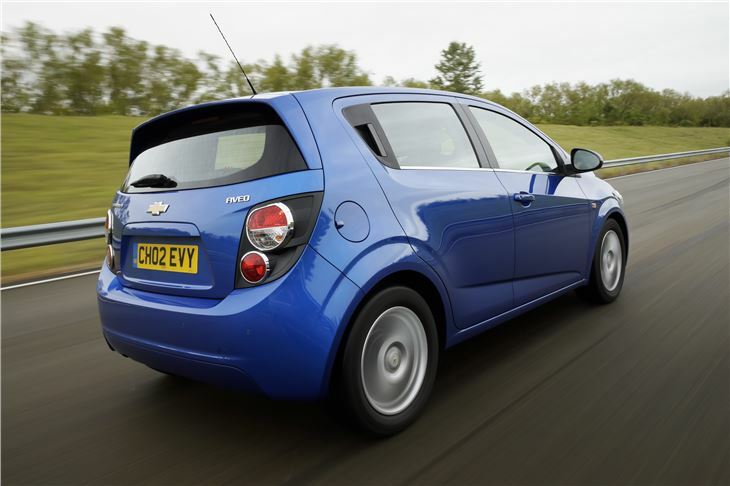 The Spark is leaps and bounds better than the Matiz and the Cruze is a much more impressive and desirable prospect than a Lacetti. 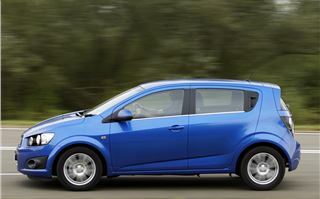 But the one thing the brand has lacked is a small hatchback in the mould of the Fiesta. So the Aveo arrives at the perfect time and like the Cruze and Spark, it’s a much more enticing vehicle than its predecessor. 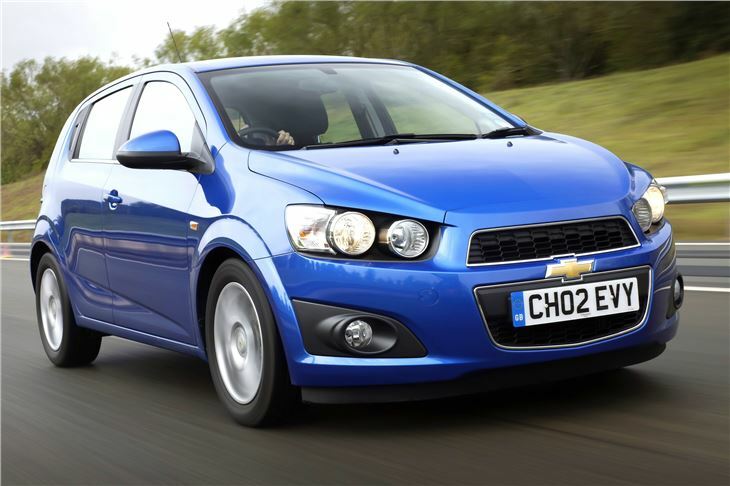 It’s entering a tough market though, with stiff competition from the Hyundai i20 and Kia Rio, as well as market leaders like the Ford Fiesta and Vauxhall Corsa. 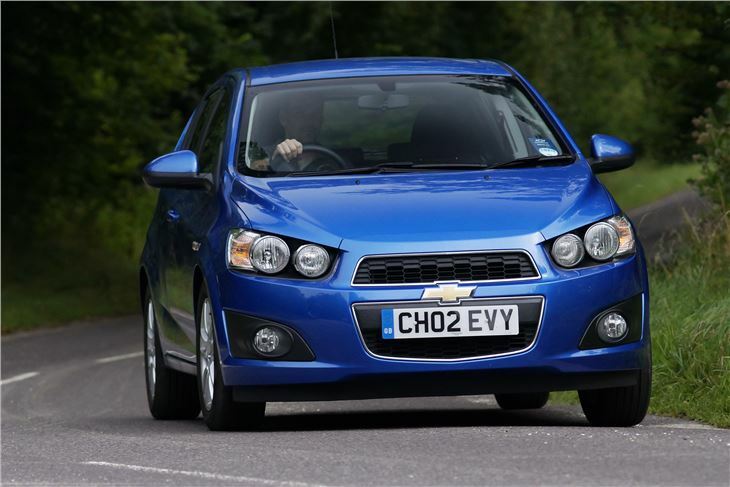 Luckily though, the Aveo is a decent hatch, and offers a credible alternative for those who want something that’s attractive and represents good value for money. 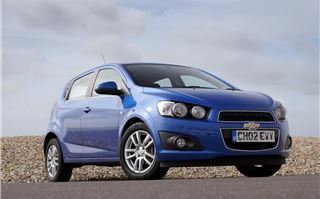 Chevrolet expects the 1.2-litre LT model to be the best seller. 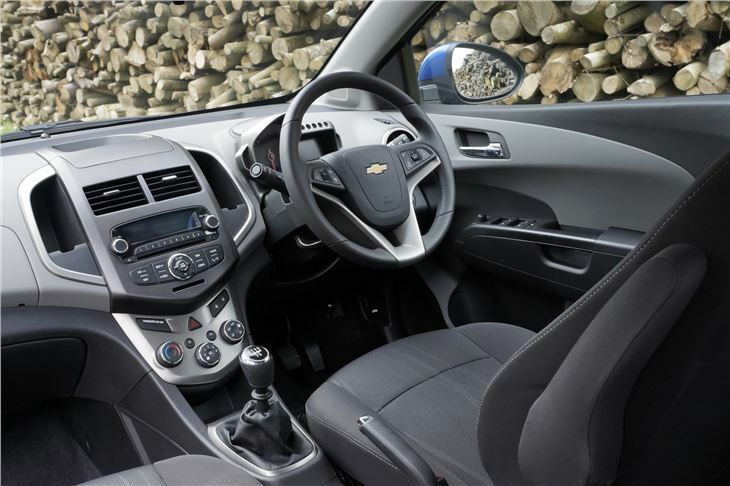 Priced at £10,995 it comes with a generous level of standard equipment including air conditioning, alloy wheels, USB and Aux-in, cruise control with speed warning, steering wheel audio controls, Bluetooth, remote central locking and front electric windows. 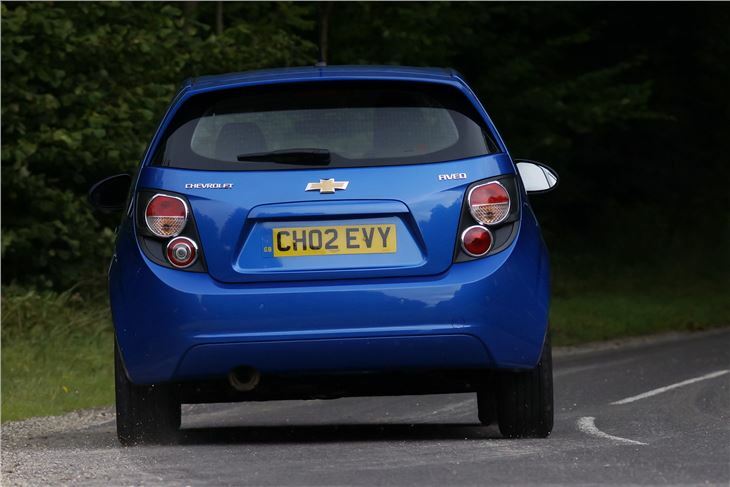 The closest priced Fiesta lacks many of those features and has a less impressive warranty, so it’s a good start for the Chevy on paper. In the metal the Aveo is quite a handsome car, with prominent black headlight and taillight surrounds and modern, angular styling. Unusually for a car in this class, cruise control is standard across the range and it makes motorway journeys much more relaxed. There’s also a speed limiter, but rather than physically cap the cars top speed it plays a warning chime when you exceed the set speed for more than a few seconds. 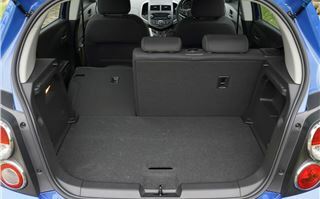 It’s handy for driving in town or in average speed check areas. 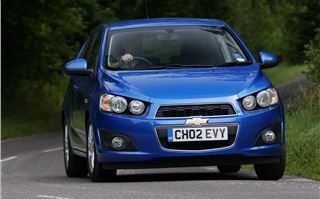 The cabin is a far cry from the dour grey ocean of cheap plastics offered up in the previous Aveo. 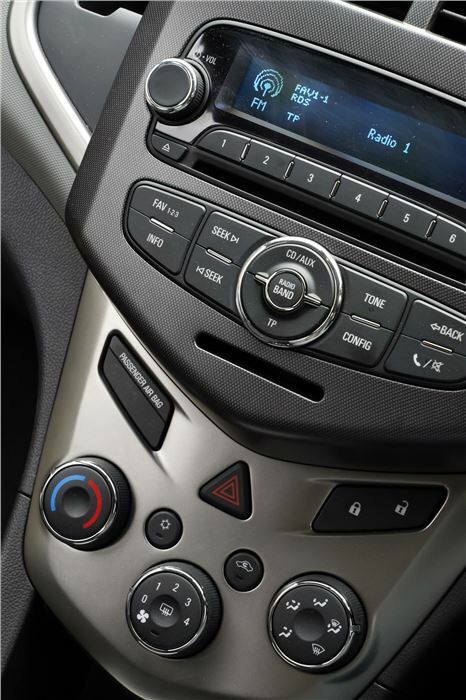 A nicely laid out centre console houses easy to operate controls and a motorcycle-inspired digital instrument cluster sits atop the steering column. It’s refreshingly different, but it might not be to all tastes. Some of the plastics are hard and easily scratched though. There’s also an obvious difference in quality between trim levels, with bottoms spec LS models getting lower quality seat upholstery and cheaper plastics on the steering wheel and gear lever. 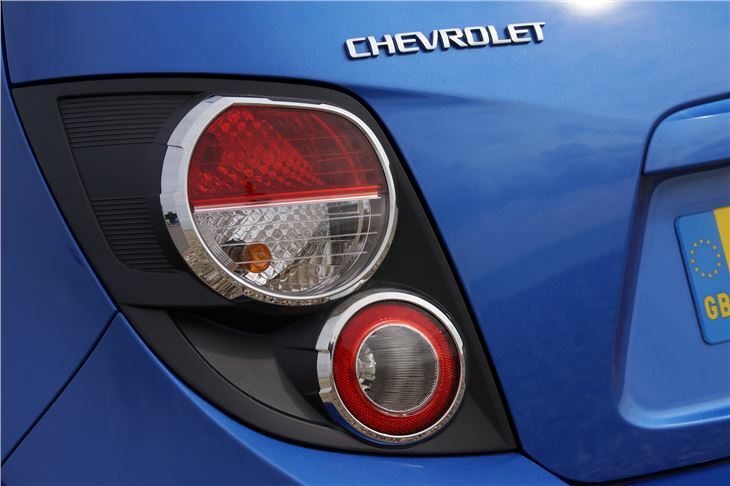 Furthermore, the cheap plastic door handles are only replaced with prettier chrome ones of you choose a top grade LTZ model. Turning the key brings the 1.2-litre four cylinder engine to life in a subdued manner and it’s reasonably refined at idle. 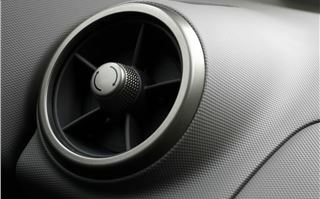 The on-paper figures are respectable, with a peak power figure of 86PS, emissions of 111g/km and fuel economy of 60.9mpg on the combined cycle. 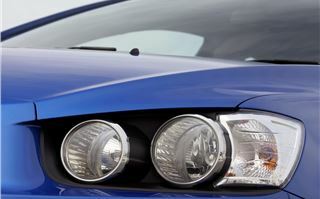 There are also two 1.3-litre diesels, both of which deliver sub-100g/km of CO2, and a 1.4-litre petrol, which is more suited to long journeys than the 1.2-litre. 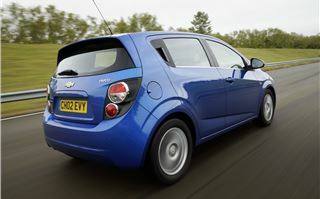 At low speeds the 1.2-litre engine performs well enough – it’s quiet and happy to chug along at low speeds in a high gear – but if you need to accelerate hard it feels lacklustre, even after changing down a gear. It's also fairly coarse and sounds unpleasant. It’s hard to feel the biting point through the clutch pedal, resulting in some embarrassing over-revving in town until you get used to it. But while the engine might not be the best, the rest of the package is fine. The steering - though a little numb - is well weighted and fairly accurate, plus the suspension is compliant and comfortable both in and out of town. 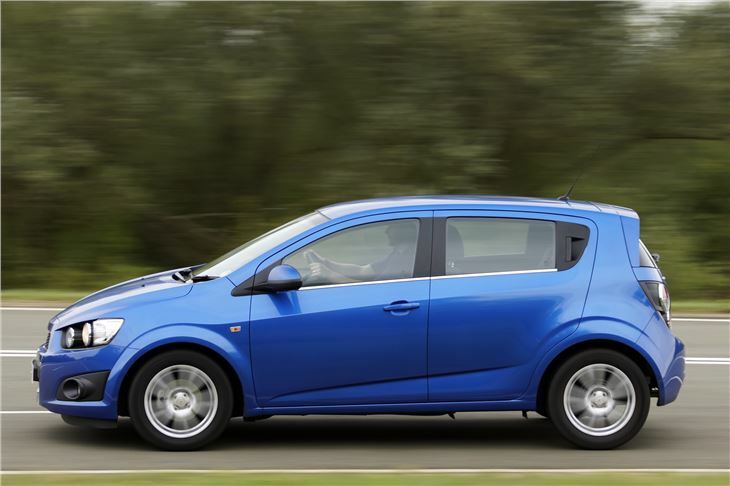 Indeed, it’s quite possible to enjoy a spirited drive in the Aveo, so while it might not be quite as fun as a Suzuki Swift, it will still make you smile. It’s surefooted and stable through corners and never feels like it might do anything untoward. 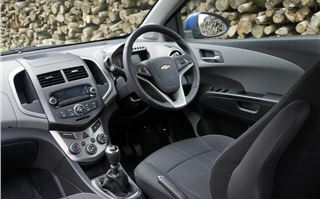 Comfort is genuinely impressive in the Aveo. 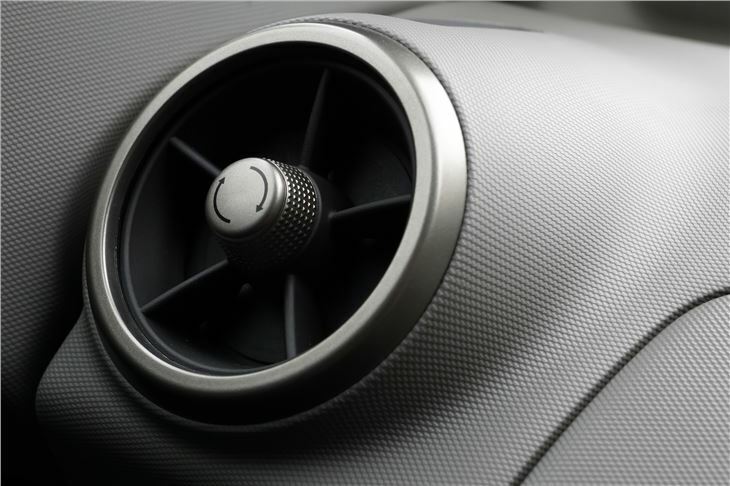 The steering column is adjustable for height and reach, plus it’s easy to find the ideal position for the supportive seats. 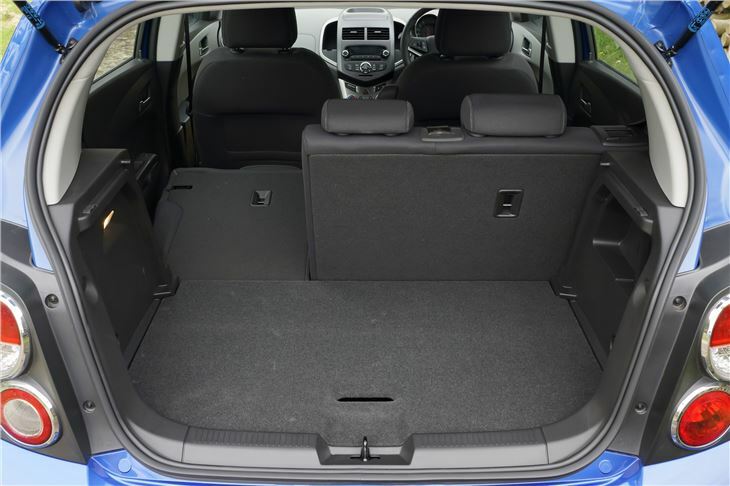 Rear legroom isn’t exceptional, but it’s adequate for short journeys and any compromise here is made up for by the boot space, which is generous at 295 litres, expandable to 653 litres with the seats folded. 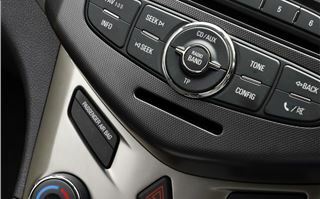 The cabin benefits from numerous cubby holes, with coin holders either side of the stereo, generous door bins and a pair of gloveboxes – one large and one small, the latter of which perfectly accommodates mp3 players and even has a slot for the wire to prevent it being crushed. 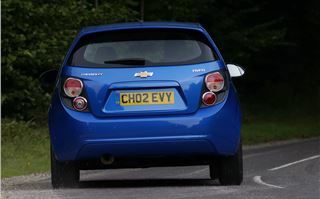 It might lack the sparkle of some of its rivals and it’ll struggle to pull buyers away from the bestselling Fiesta, but for those seeking a value for money small car with good levels of equipment and low running costs, there’s little to fault with the Aveo, and it’s well worth a test drive.